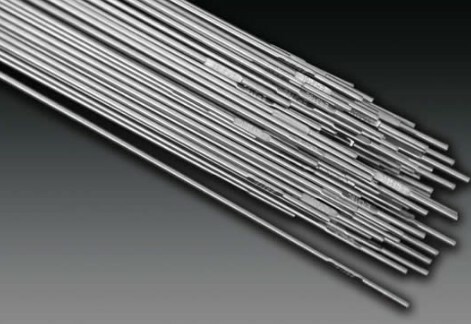 During welding, it is important that high quality welding wire is used and that the user has sufficient knowledge of the process to achieve a good result. Once the actual welding is completed, it is important to check for heat tint. Heat tint occurs when the natural oxide layer on the surface of stainless steel thickens due to heat during welding. Chromium is drawn to the surface of the metal making it richer while the layers underneath become less so. The colours formed are similar to temper colours and are created by a light-interference effect. Optical path-length differences are the cause of this effect as light is reflected between the oxide/metal interface and the surface of the oxide film, resulting in the charac­te­ristic array of heat tint colours. These colours vary in shade dependent on the thickness of the oxide layer. It is recommended that, to ensure full corrosion resistance, weld heat tint is always removed. This helps to avoid unnecessary future problems, particularly in fabrication weld areas. It is good practice to treat all stainless steel applications as if they were to be used for drinking water, removing heat tint and allowing the metal to perform to its optimum level. Our next article will look at the finishing and cleaning techniques used in removing heat tint from stainless steel. Please check back soon or, to be kept updated with all the latest news and information from BS Stainless, subscribe to our regular newsletter. You can contact the BS Stainless team directly for information on our range of stainless steel strip coil, products, stainless steel sheet, duplexes, welding wire and more by calling 01772 337555 or by email at info@bsstainless.co.uk.